Paul starts off his second letter to Timothy with the greeting, 'Paul, an apostle of Jesus Christ by the will of God, according to the promise of life which is in Christ Jesus' (2 Tim. 1:1). Now, we can be very tempted to almost skip over such greetings - 'it's just Paul saying hello again,' we often think. But all Scripture is inspired and profitable (as Paul tells Timothy later on in this letter - 2 Tim. 3:16), even the greetings in the letters. And this particular greeting in this particular letter tells us something important about the nature of Paul's apostleship. Well, first off, what's really clear and obvious here is that Paul's apostleship is 'by the will of God'. In other words, Paul hasn't set himself up as an apostle. It's not a career-choice that Paul made, but rather the call of God. And it's not simply a choice of the church. The church didn't just say, 'Oh, you know what, we could be doing with an apostle to the Gentiles, so let's set up a committee to draw up a shortlist so we can pick someone for the job.' No, not at all. It wasn't the church's choice, but God's choice. Apostleship is not simply a job, title or position, but a calling of God according to His will. As Ephesians 4:11 tells us, it is Christ who gives gifts of apostles to His Church, not the other way round! Now, we know all that. But that's not all that this verse tells us about apostleship. Not only is Paul an apostle by the will of God, but also 'according to the promise of life which is in Christ Jesus.' Now, we know about the promise of life that God gives us in Christ Jesus - that's salvation, eternal life in Christ. 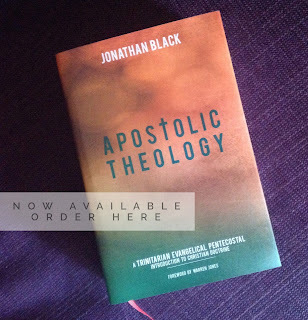 But what does that have to do with apostleship? Surely these are two completely separate things on two completely different levels of importance. And yet Paul connects the two here. Or rather, God connects the two here. Apostleship is somehow connected with life in Jesus. Don't worry, I'm not for one minute suggesting that you need apostles in order to have life in Jesus. That would be a completely ridiculous suggestion! But what I am suggesting is that apostleship (or eldership or the pastorate for that matter) isn't simply a 'leadership role' within an organisation. It's not even simply an office of the church. Rather apostleship finds its origin and source, as well as its vitality and power, not in the apostle, the governing structures, or even in the church itself, but rather somewhere much better, somewhere much more vital, somewhere much more powerful - apostleship finds its origin and source, as well as its vitality and power, in the life which is in Christ Jesus! 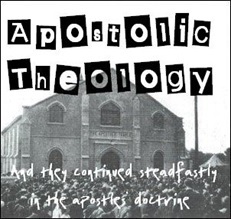 Christ is the true apostle (Hebrews 3:1), and so all true apostleship is found in Him. Likewise, Christ is the true prophet, teacher, evangelist, pastor and elder. So all true Christian ministry is ministry in union with Christ. It is not that Christ has put some thing in me to make me a pastor and teacher, but rather that I am united to Christ, and so Christ in me is the pastor and teacher. And the same goes for apostleship. So apostleship (like all Christian ministry) cannot be carried out apart from or independent of Christ. Our ministry is not something that we do for Christ and offer to Him, but rather something that we do in Christ, united to Him, relying on Him as the true apostle, teacher or elder (or whichever of the other ministries He has called us to by His grace). Christian ministry is 'according to the promise of life which is in Christ Jesus'. It's not a way of working our way toward life, but rather an expression of the life of Christ to whom we've already been united. And one more thing - that means Christian ministry isn't about me and my ministry, but it's all about Jesus!